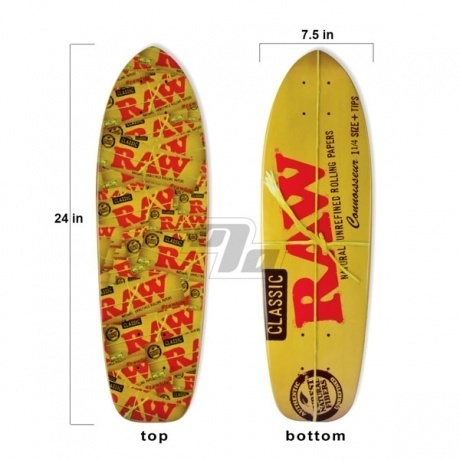 Limited Edition RAW Life skateboard! Limited Edition Raw skateboard. Also known as the Mini Rawboard! Measuring in at 24 inches long and 7.5 inches wide. Add your favorite trucks, wheels, bearings, grip tape and you'll be ready to take RAW to the street. Max 1 Per Customer due to the very limited quantities. When out of stock we don't have any more. 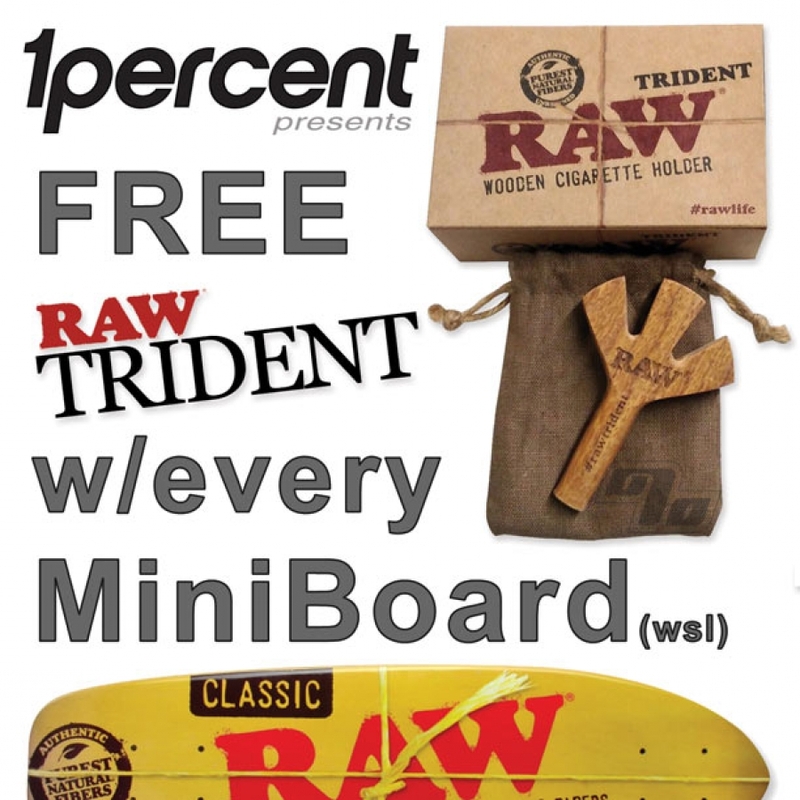 Extra Special: FREE RAW Trident 3 Joint Holders ($20 Value) included with each RAW MiniBoard for a complete RAWLife Package. Again, No Rainchecks. No doubt this is a nice board. 7 layers of very strong wood and a nice design makes it perfect. Feels good to be a part of history, being that they're limited edition!